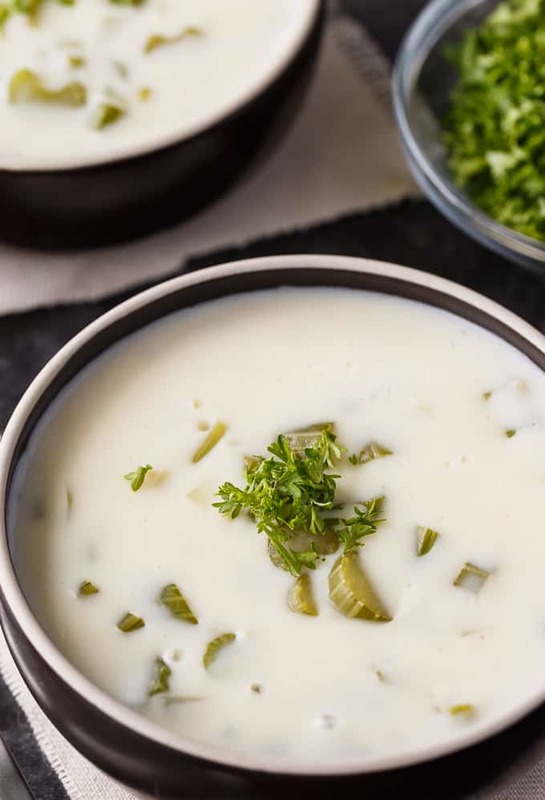 This Cream of Celery Soup is a hundred times better than the canned stuff. I know it’s not as easy as throwing a can plus water into a pot, but trust me, the little extra effort is worth it. 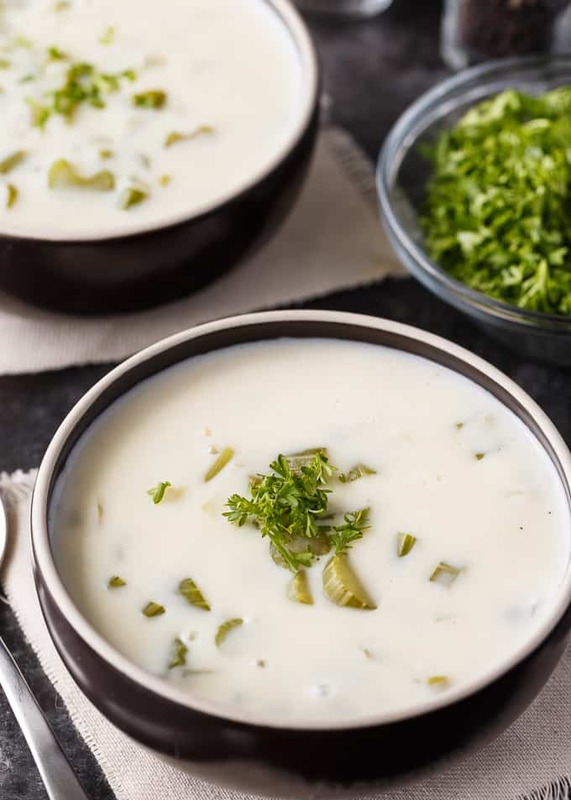 You’ll love how creamy and full of flavour this soup is! Like carrots, I’m not a big fan of cooked celery. I’ll eat it raw with dip, but cooked in dishes? No thanks. 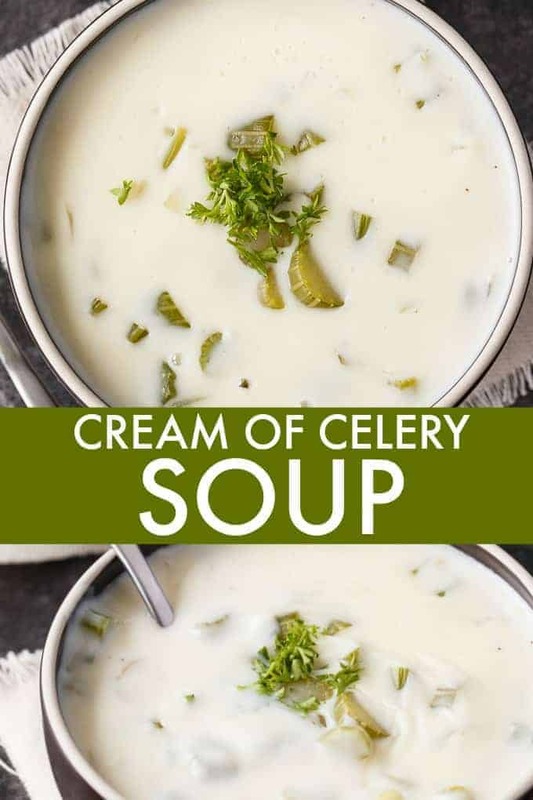 However, I do make an exception for this delicious Cream of Celery Soup. I like cooked celery when it’s included in here. Maybe it’s the smooth, creamy texture and the extra flavours packed in? Either way, I’m good with this recipe. 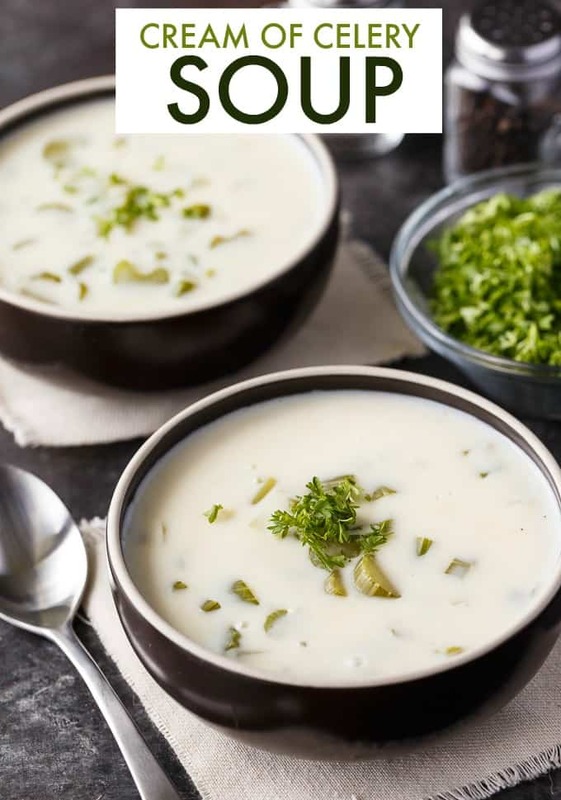 With the colder weather starting, I’m all about the soups. I love eating a big bowl of soup on a chilly day. It’s just so fall-like. To be honest, I’m glad the heat of summer is fading away. I’m a sweaty beast in the summer heat and looking forward to my face not looking like an oil slick. Super easy! The first step is to cook the veggies. Add celery and onion to water on the stove and cook over high heat until both are tender. 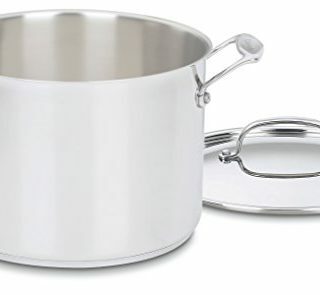 Grab a large pot and melt butter. Once the butter is melted, stir in the flour to make a roux. 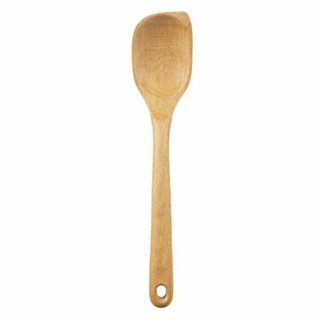 This step will ensure you have a nice and thick soup. Add in the milk (I use 2%), Worcestershire sauce, cooked celery and onion. Season with salt and pepper. 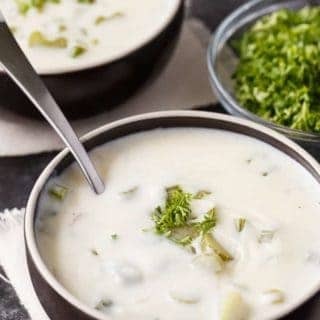 Stir the soup frequently until its hot and thick. Told you it was simple! Now put away that canned soup and make this recipe instead. I garnished with a little bit of parsley on top too. You could leave that out. I just thought it looked pretty for the pictures. I gave a container to my friend and she said she put it in her freezer. I’m going to make another batch and freeze some as well. My daughter isn’t a cooked celery fan either, but she doesn’t mind the celery in the soup. It’s a good way to get kids to eat their veggies. Soup to the rescue! 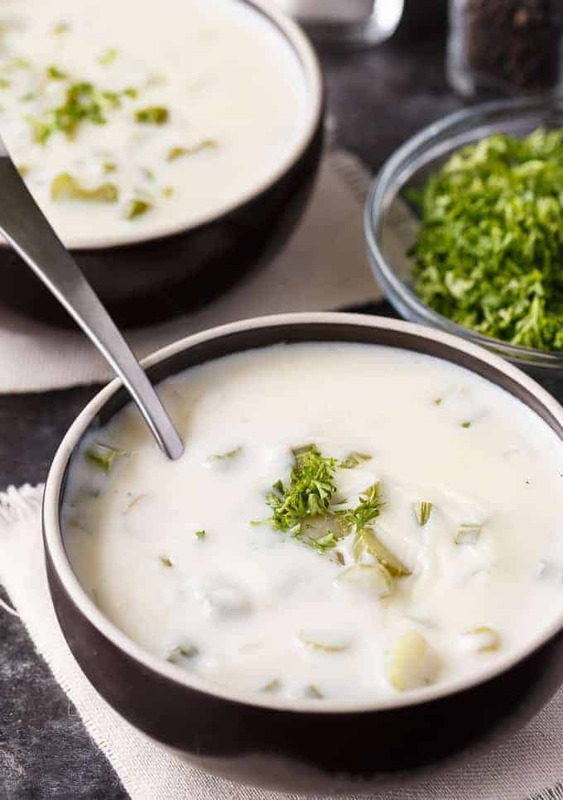 For more soup recipes, try my Cheesy Chicken Chowder, Cabbage Roll Soup, Cheeseburger Chowder and Creamy Chicken and Vegetable Soup. Creamy and flavorful! 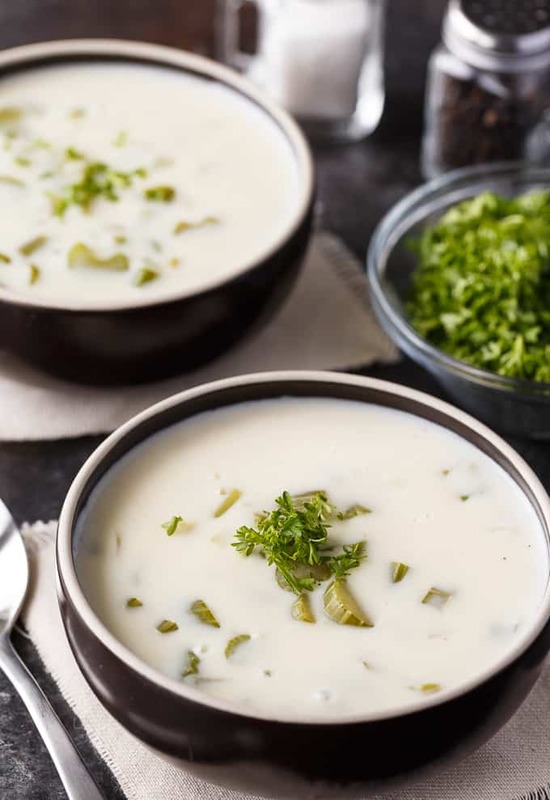 This easy soup recipe is so much better than the canned stuff. Add celery and onion to water on the stove and cook over high heat until tender. In a large pot over medium heat, melt butter and stir in flour. Add milk, worcestershire sauce, celery and onion. Season with salt and pepper. 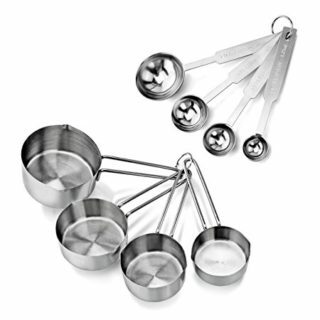 Stir frequently until soup is thickened. Serve hot. 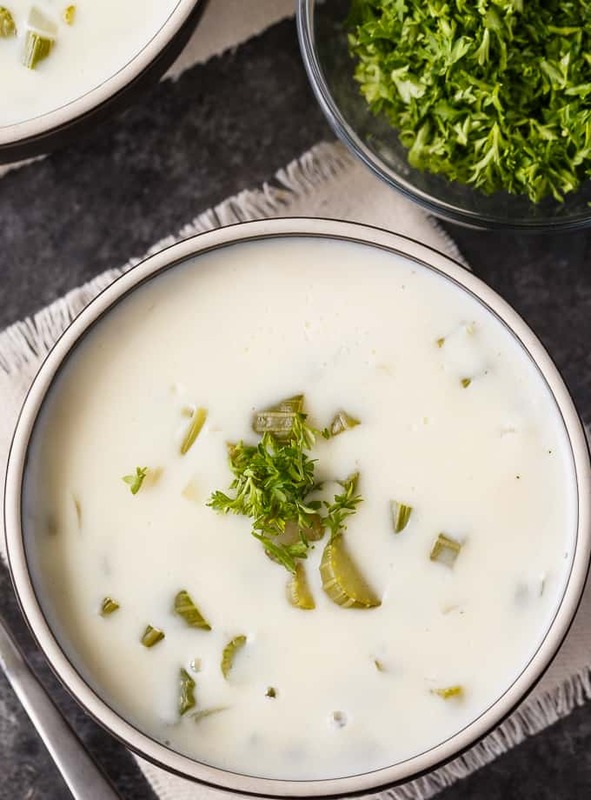 Your Cream of Celery Soup would be perfect for this rainy day! Thanks so much for sharing your post with us at Full Plate Thursday, we have really enjoyed it. Hope you have a great day and come back soon!